Inspired by the undulation of waves, this modern piece features a sleek curved frame and a delicate wrist chain. 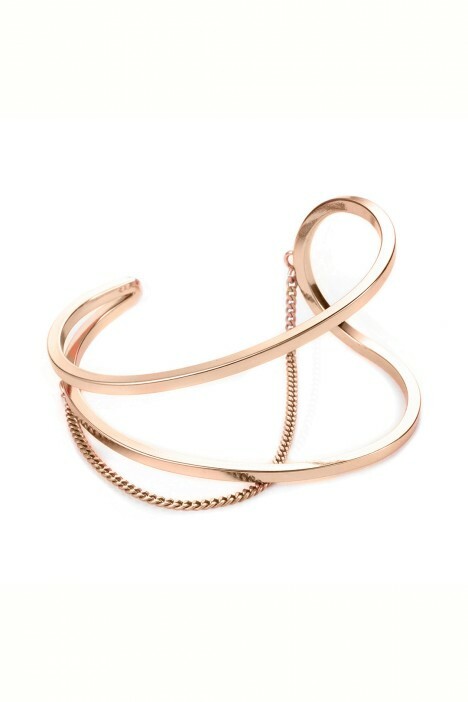 Crafted out of brass, it is dipped in rose gold and finished with a high polish for a timeless yet contemporary look. Just right for every occasion, pair with a little black dress or add a touch of effortless elegance to a tailored jumpsuit. Read our blog post for more tips on how to accessorise your look perfectly.